We had a very good meeting with the director of racing and the three stewards at the Arapahoe Park race track. Although I’m disappointed that Clunk was not allowed to participate in the Sunday August 21st Stakes Race, I believe the Saturday August 20th meeting laid a solid foundation for allowing our shoes to participate at Arapahoe in 2012. 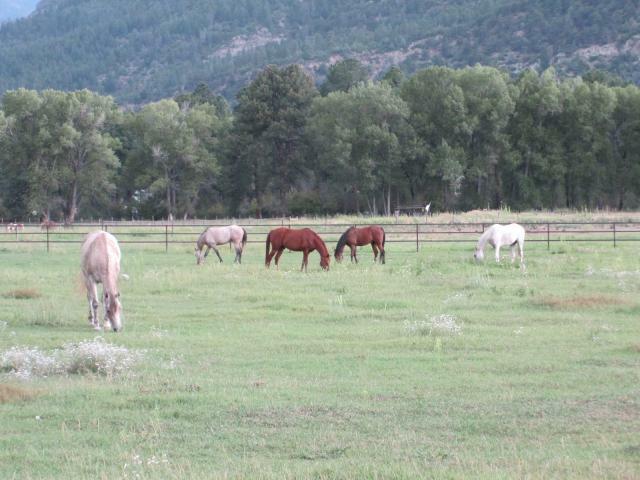 Clunk made it home Saturday night and is turned out with some of the other geldings. 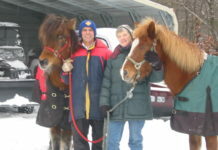 Clunk is the second grey to the left. We are looking at giving the Texas tracks a try in September. From my perspective, the stewards were very impressed with the Easyboot Race shoe and they believed our shoe would be beneficial to track horses in training and competition. I heard “very nice job” and “looks exactly like an aluminum plate” on multiple occasions. In addition, I believe they all were under the assumption that the new sole pattern was identical to the current aluminum race plates being used at the track. I believe that each of stewards felt the Easyboot Race shoe fell well within the current rules but all want the final decision to come from a higher power or the rule-making committee. We are in this for the long haul and I’m happy to go through the process. The director encouraged us to participate in aluminum plates but we decided it would be the best decision to scratch Clunk. 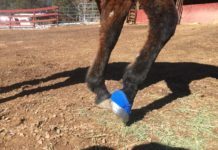 Clunk has been at the Arapahoe track and training in the Easyboot Race shoe since August 8th. 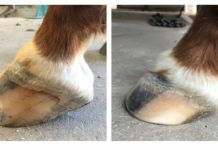 After our meeting on Saturday August 20th and looking at our hoof protection options, I decided that it would be in the best interest of the horse, jockey and other horses and riders to scratch Clunk from the race. Clunk was training and performing in the Easyboot Race shoe for over 40 days and I just didn’t think it was safe or smart to change equipment the day before the race. Yes, we could have come home with some money if Clunk ran in the August 21st event but I thought the safety of horses and riders was more important. I’ve taken some time to summarize the products shown at the meeting (with photos) and the subsequent reactions from the stewards. The Easyboot Race plate next to and aluminum racing plate. The stewards said there was no difference between the products and the Easyboot Race plate did not violate the rules. Our Easyboot Race shoe could be glued and nailed in this configuration. 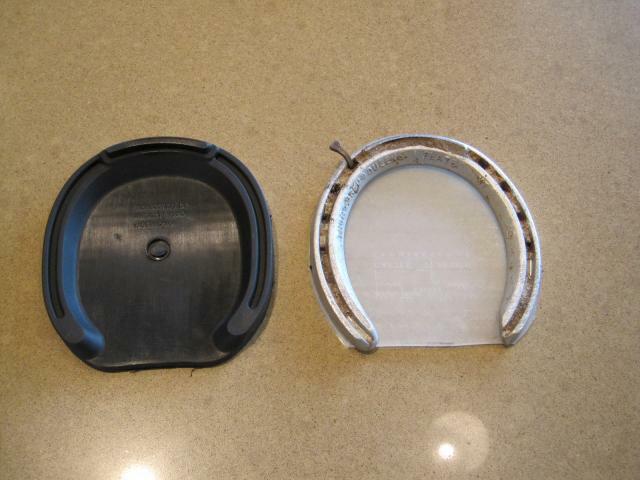 The Easyboot Race plate with sole intact next to an aluminum racing plate with pad. The stewards said there was no difference between the products and the Easyboot Race plate with sole plate did not violate the rules. Our Easyboot Race shoe could be glued and nailed in this configuration. 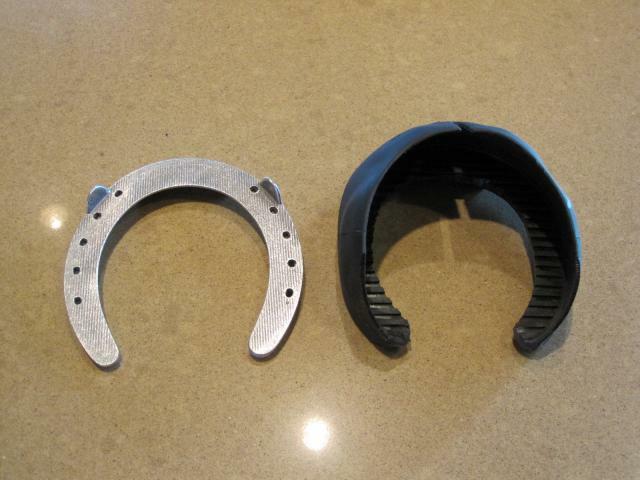 The Easyboot Race plate with sole intact and including the cuff system next to an aluminum racing plate with clips. 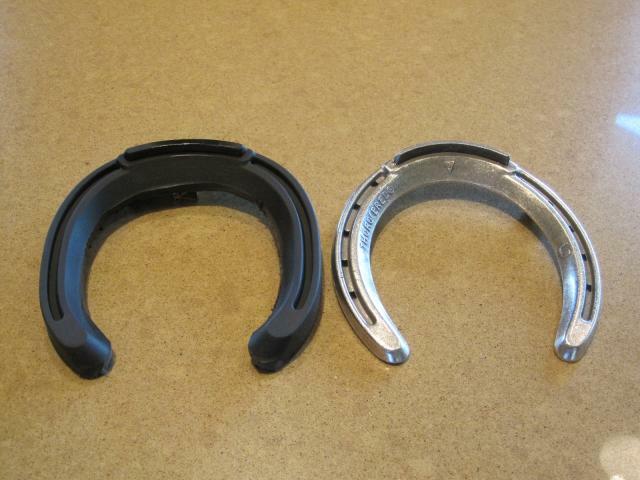 The stewards said there was no difference between the products and the Easyboot Race with sole intact and including the cuff system was no different than an aluminum racing plate with clips. Therefore it would not violate the rules. Our Easyboot Race shoe could be glued and nailed in this configuration. The cuff system allows for a very large gluing surface and a very secure bond. 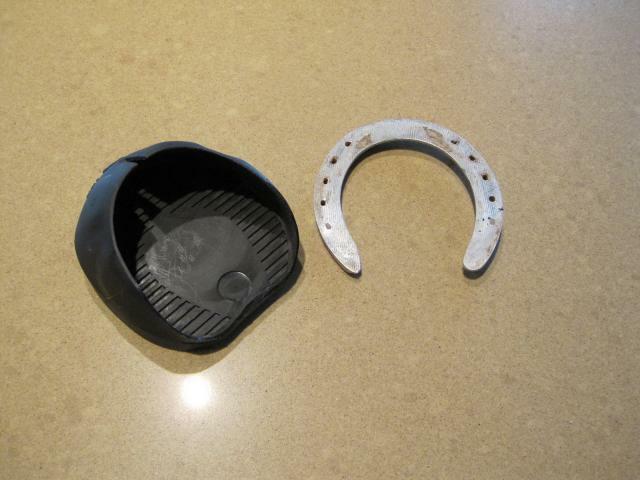 The Easyboot Race shoe next to an aluminum racing plate. 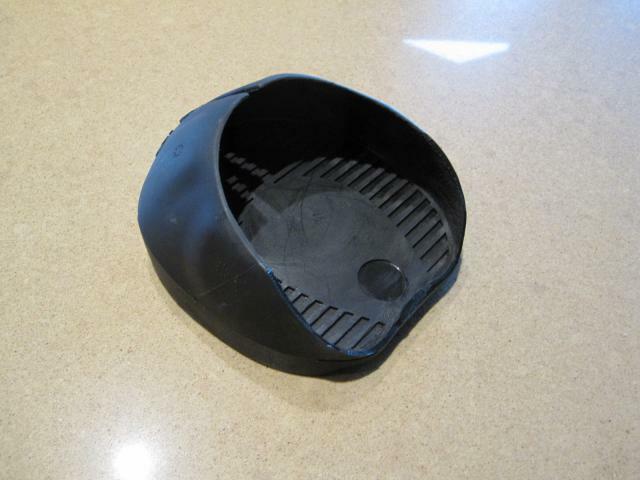 The stewards all could not find a portion of the Easyboot Race shoe that violated the rules. Our Easyboot Race shoe could be glued and nailed in this configuration. The cuff system allows for a very large gluing surface and a very secure bond. Another perspective of the Easyboot Race. The heel can easily be trimmed from the rear of the shoe if needed. Despite the disappointing outcome of the Saturday August 20th meeting, I’m looking forward to the September 13th commission meeting. We have indicated that we would like to be part part of the meeting as we would like to do everything possible to hit the ground running for the 2012 Arapahoe race season. I fully believe we will be racing at Arapahoe Park in the Easyboot Race in 2012. We will keep you posted on our progress.